Roger William Corman (born April 5, 1926) is an American independent film producer, director, and actor. He has been called "The Pope of Pop Cinema" and is known as a trailblazer in the world of independent film. Much of Corman's work has an established critical reputation, such as his cycle of low budget cult films adapted from the tales of Edgar Allan Poe. Admired by members of the French New Wave and Cahiers du cinéma, in 1964 Corman was the youngest filmmaker to have a retrospective at the Cinémathèque Française, as well as the British Film Institute and the Museum of Modern Art. In 2009, he was awarded an Honorary Academy Award. Corman mentored and gave a start to many young film directors such as Francis Ford Coppola, Ron Howard, Martin Scorsese and James Cameron. He also helped to launch the careers of actors Peter Fonda and Jack Nicholson. Corman was born in Detroit, Michigan, the son of Anne (née High) and William Corman, an engineer. His younger brother, Eugene Harold "Gene" Corman, has also produced numerous films, sometimes in collaboration with Roger. Corman and his brother were baptized in their mother's Catholic faith. Corman went to Beverly Hills High School and then to Stanford University to study Industrial Engineering. While at Stanford, Corman enlisted in the V-12 Navy College Training Program. After the end of World War II, Corman returned to Stanford and received a Bachelor of Science degree in Industrial Engineering in 1947. 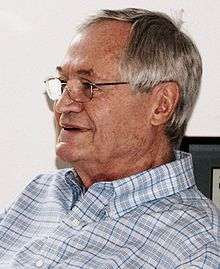 While at Stanford University, Roger Corman was initiated in the fraternity Sigma Alpha Epsilon. In 1948, he worked briefly at U.S. Electrical Motors on Slauson Avenue in Los Angeles, but his career in engineering lasted only four days; he began work on Monday and quit on Thursday, telling his boss "I've made a terrible mistake." More interested in film, Corman found work at 20th Century Fox initially in the mail room. He worked his way up to a story reader. The one property that he liked the most and provided ideas for was filmed as The Gunfighter with Gregory Peck. When Corman received no credit at all he left Fox and decided he would work in film by himself. Under the GI Bill, Corman studied English Literature at Oxford University. He then returned to Los Angeles, beginning his film career in 1953 as a producer and screenwriter, then started directing films in 1955. In addition to producing and directing films for American International Pictures (AIP), Corman also partially funded other low-budget films released by other film companies. In 1959, Corman founded Filmgroup with his brother Gene, a company producing or releasing low-budget black-and-white films as double features for drive-ins and action houses. Finding that black-and-white double features were not as successful as colour films, Corman returned to AIP, and Filmgroup ceased operation in 1962. Corman's greatest acclaim as a director came with his Edgar Allan Poe cycle released between 1959 and 1964. Based on the works of Poe, made through American International Pictures and mostly in collaboration with writer/scenarist Richard Matheson, the series of eight films comprises House of Usher (1960), The Pit and the Pendulum (1961), The Premature Burial (1962), Tales of Terror (1962), The Raven (1963), The Haunted Palace (1963), The Masque of the Red Death (1964) and The Tomb of Ligeia (1964). All but The Premature Burial starred Vincent Price. Other Poe films were made at AIP in the late 1960s and early 1970s directed by other filmmakers with Price in starring roles. Corman also worked with set designer Daniel Haller and cinematographer Floyd Crosby on the series. Others who joined him include cinematographer Nicolas Roeg (on Masque), writers Robert Towne and Charles Beaumont, and actors Ray Milland, Basil Rathbone, Hazel Court, Barbara Steele, Debra Paget, and Peter Lorre. After The Raven was completed, Corman reportedly realized that he still had some shooting days left before the sets were torn down and so made another film, The Terror (1963), on the spot with the remaining cast, crew and sets. He also directed one of William Shatner's earliest appearances in a lead role with The Intruder (a.k.a. The Stranger, 1962). Based on a novel by Charles Beaumont, the film, made for approximately US$80,000, is known for its treatment of segregation and civil rights. The late 1960s saw Corman and his films give a voice to the counter culture of the era. In 1966, Corman made the first biker movie with The Wild Angels. It starred Peter Fonda and Nancy Sinatra and opened the 1966 Venice Film Festival. In 1967, The Trip, written by Jack Nicholson and starring Peter Fonda, began the psychedelic film craze of the late 1960s, and was the American entry at Cannes that year. Joan Didion said she went to see The Wild Angels because "there on the screen was some news I was not getting from the New York Times. I began to think I was seeing ideograms of the future." The St. Valentine's Day Massacre (1967) was one of the few films that Roger Corman directed from a major Hollywood studio (Twentieth Century Fox) with a generous budget and an open-ended schedule. While most directors would love such an assignment, Corman was disgusted with the incredible waste of time and money involved with "typical" movie production techniques. He was given a $2.5 million budget and made it for $400,000 less. Corman, an independent director, was most comfortable in his own style: shoestring budgets, and shooting schedules measured in days, rather than weeks. Nonetheless, it is generally considered one of his best films as a director. In 1970, Corman founded New World Pictures which became a small independently-owned production/distribution studio, making many cult films such as Women in Cages (1971), Death Race 2000 (1975), Rock 'n' Roll High School (1979), Galaxy of Terror (1981), Children of the Corn (1984), and the Joe Dante film Piranha (1978). Corman's distribution side of New World brought many foreign films to mass audiences in the US for the first time, including the works of Ingmar Bergman, François Truffaut, Federico Fellini, and Akira Kurosawa. In a ten-year period, New World Pictures won more Academy Awards for Best Foreign Film than all other studios combined. Corman eventually sold New World to an investment group in 1983 and later formed Concorde Pictures and New Horizons. Corman's penultimate film as director was Von Richthofen and Brown (1971). Corman had always wanted to make an aviation movie, having piloted model planes as a lad. He returned to directing once more with Frankenstein Unbound (1990). In total, Roger Corman has produced over 300 movies and directed 55. Corman produced the 2010 films Dinoshark and Dinocroc vs. Supergator for the Syfy cable television channel. Dinoshark premiered on March 13, 2010. Sharktopus, a Syfy production, premiered in September 2010. A number of noted film directors and producers worked with Corman, usually early in their careers, including Francis Ford Coppola, Martin Scorsese, Ron Howard, Peter Bogdanovich, Armondo Linus Acosta, Paul Bartel, Jonathan Demme, Donald G. Jackson, Gale Anne Hurd, Carl Colpaert, Joe Dante, James Cameron, John Sayles, Monte Hellman, Carl Franklin, George Armitage, Jonathan Kaplan, George Hickenlooper, Curtis Hanson, Jack Hill, Robert Towne, Menahem Golan, Michael Venzor and Timur Bekmambetov. Many have said that Corman's influence taught them some of the ins and outs of filmmaking. In the extras for the DVD of The Terminator, director James Cameron asserts, "I trained at the Roger Corman Film School." The British director Nicolas Roeg served as the cinematographer on The Masque of the Red Death. Cameron, Coppola, Demme, Hanson, Howard and Scorsese have all gone on to win Academy Awards. Howard was reportedly told by Corman, "If you do a good job on this film, you'll never have to work for me again." Robert M. Price. "Cormanghast: The Poe Films of Roger Corman". Parts14 (Nov 1997), 3-14, 20. ↑ "New Horizons Pictures – Roger Corman Official Website". Retrieved May 25, 2010. ↑ "Roger Corman". Internet Movie Database. Retrieved May 25, 2010. ↑ Olsen, Eric B. "Roger Corman". History of Horror. Retrieved April 19, 2013. ↑ "The Melbourne Cinémathèque | ROGER CORMAN – FAST, CHEAP & UNDER CONTROL". Melbournecinematheque.org. Retrieved August 1, 2013. 1 2 Maslin, Janet. "Roger Corman: Hollywood's Wild Angel (1978)". The New York Times. Among the Corman associates and protegees interviewed are David Carradine, Peter Fonda, Ron Howard, Paul Bartel, Martin Scorcese, Joe Dante and Peter Bogdanovich. ↑ "A&E INDIEFILMS INVESTS IN SUNDANCE ENTRY "CORMAN'S WORLD: EXPLOITS OF A HOLLYWOOD REBEL"". Movie City News. Retrieved April 19, 2013. ↑ "Roger Corman Biography (1926–)". Filmreference.com. Retrieved June 14, 2013. 1 2 H.W. Wilson Company (1984). Current Biography Yearbook. New York. ↑ Holte, Michael Ned. "Value Engineering: Roger Corman with his own Context". East of Borneo. Retrieved May 24, 2012. ↑ Simpson, MJ (September 23, 1995). "Interview with Roger Corman" http://www.mjsimpson.co.uk/interviews/rogercorman.html. Retrieved 2007-10-24. "I shot Little Shop of Horrors in two days and a night for about $30,000, and the picture has lasted all these years." ↑ "Box office / business for The Intruder". IMDb. Retrieved April 19, 2013. ↑ "The Intruder". DVD Beaver. Retrieved April 19, 2013. ↑ Morris, Gary (January 2000). "Roger Corman's New World Pictures". Bright Lights Film Journal. Retrieved April 19, 2013. ↑ "New World Picture: Production Company – filmography". IMDb. Retrieved April 19, 2013. ↑ "Shout If You Want Roger Corman Creatures and Classic Gamera DVDs!". ↑ "Roger Corman and Joe Dante SPLATTER Netflix". ↑ "Full Info on Feldman, Corman and Dante's 'Splatter'". ↑ "See a Gruesome Advance Clip from Splatter". DreadCentral. ↑ "Roger Corman". Trailers From Hell. Retrieved April 19, 2013. ↑ "Sharktopus Plot Details and Dinoshark Image Revealed!". ↑ "SyFy Offers a Sneak Peek at Dinoshark in Action!". ↑ "Sharktopus (2010) (TV)". imdb.com. Retrieved August 9, 2010. ↑ "Roger Corman's Flicks May Be 'B' Shlock, but No One in Hollywood Has Nurtured More 'A' Talent". ↑ "See Roger Corman Receive His Honorary Oscar". ↑ Allen, Nick (November 15, 2009). "Lauren Bacall receives Oscar". Daily Telegraph. Retrieved November 15, 2009. ↑ "A History of Horror with Mark Gatiss – Q&A with Mark Gatiss". BBC. Retrieved November 12, 2010. ↑ "Escaping the curse of Corman". ↑ "MASQUE OF THE RED DEATH: The Apex of Roger Corman's Poe Films". ↑ "Turner Classic Movies". Todd Field Biography. 29 November 2015. ↑ "Roger Corman on The Blair Witch Project and why Mean Streets would have made a great blaxploitation film. Interview by Andrew J. Rausch.". Imagesjournal.com. Retrieved June 14, 2013. 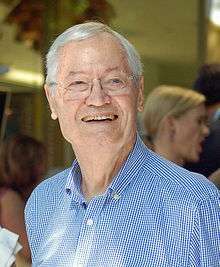 ↑ "Roger Corman: Legendary AIP Director Monsterizes AMC". ↑ "Rachel Getting Married full cast list". imdb. Retrieved August 8, 2010. ↑ "Roger Corman". Retrieved September 16, 2012. ↑ "Shout! Factory website". Shout! Factory. Retrieved October 6, 2010.